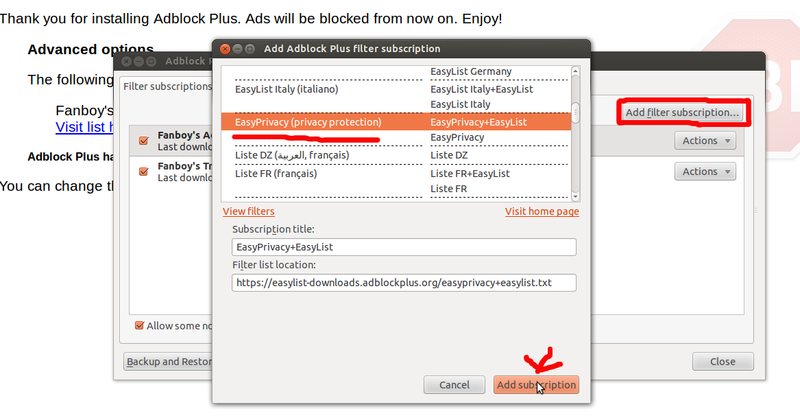 Note that these privacy safeguards will also be blocking some ads. EFF is working with online advertisers to try to convince them to provide real privacy protections for users, but until they agree to meaningful standards about online tracking, these steps will be necessary for users to safeguard their browsing privacy. Aside from removing ads, these changes won't affect your browsing experience on the vast majority of websites. It's possible, however, that a tiny fraction of websites may behave differently or break, in which case the easiest solution is to temporarily use a "private browsing" mode without the settings enabled, or a fresh browser profile/user with default settings. Great! 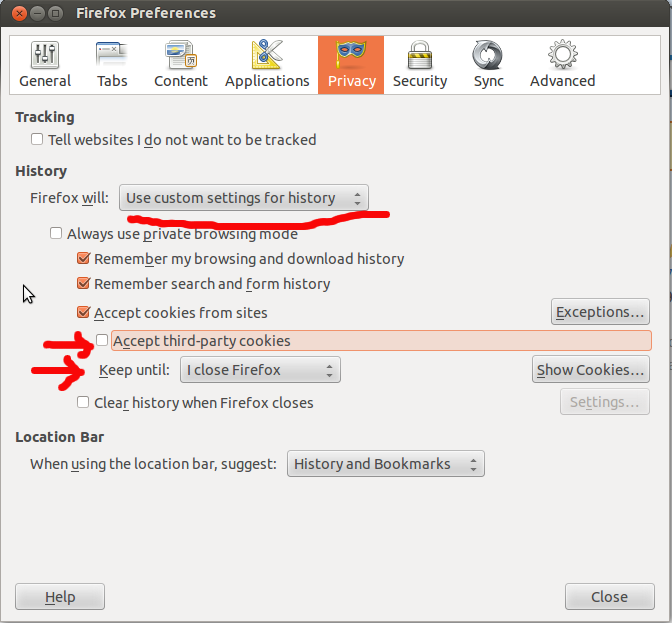 No more unwanted tracking cookies. Cookies are small identifiers that websites store in your browser to keep track of who you are. Deleting them whenever you close your browser makes it much harder to track you over a long period of time. There are some small annoyances to doing this -- you will have to log in to services such as Gmail and Facebook every time you start your browser -- but the privacy gains are significant. Ta da! No more referers. 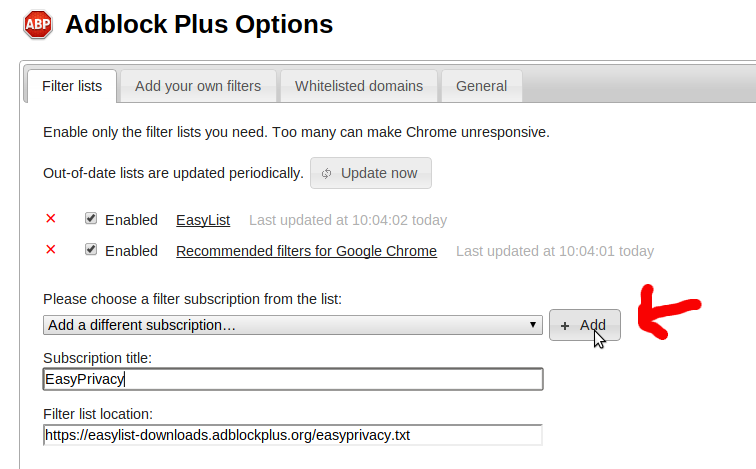 Now close that tab if you are worried about accidentally changing other settings. 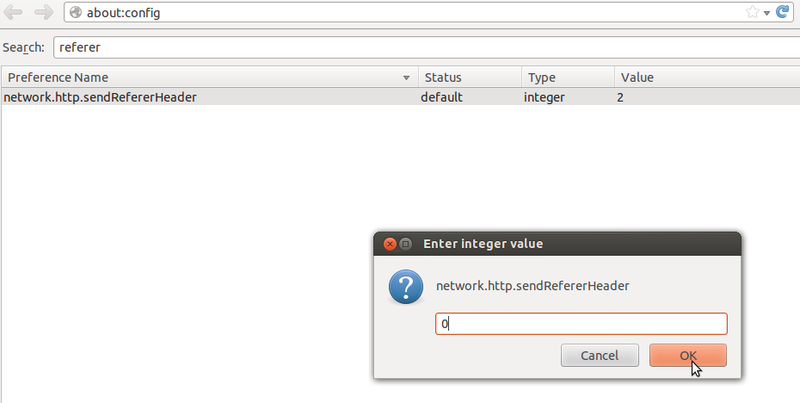 Install EFF's browser add-on HTTPS Everywhere. This maximizes your use of HTTPS to ensure that your private conversations with websites can't be snooped on or tampered with by other parties. Congratulations! You are now in an elite group of users fighting back against unwanted privacy invasions. Give yourself a pat on the back, and then please share these tips. Ta da! No more referers.